Bhutan presented its Voluntary National Review (VNR) on the implementation of the 2030 Agenda and Sustainable Development Goals on Tuesday 17thJuly 2018. 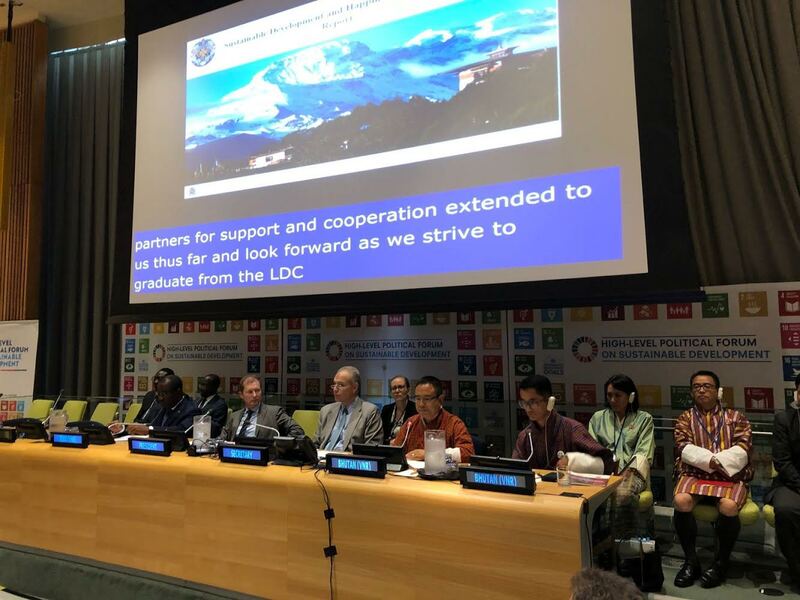 Bhutan was among 47 other UN Member States presenting their VNR to the High-Level Political Forum (HLPF) under the auspices of ECOSOC at the United Nations in New York. The Bhutanese delegation underscored the importance of the 2030 Agenda and highlighted the major achievements RGoB has made in its socio-economic development towards the achievement of the SDGs such as reducing multidimensional poverty. 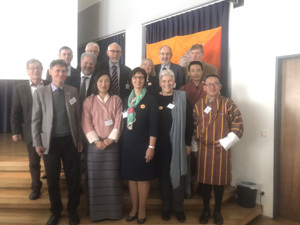 The delegation underscored last mile challenges faced by Bhutan such as poverty eradication, bridging the gaps in income inequality, economic diversification and addressing the needs of vulnerable groups. 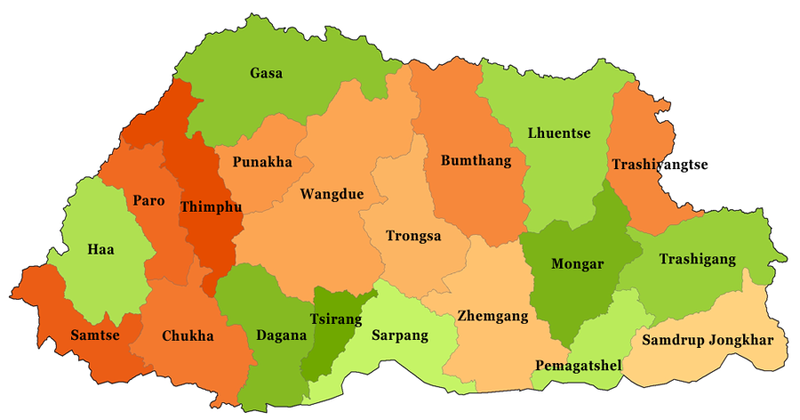 Bhutan also called for enhanced transition support for countries graduating from the LDC category. On the sidelines of the HLPF, the leader of the Bhutanese delegation, Lyonpo Namgay Dorji held bilateral meetings with senior officials of several UN agencies and other member states. The Bhutanese delegation comprised of senior officials from several agencies of the Royal Government.